It’s hard to believe that back-to-school season is nearly upon us. Didn’t summer just start yesterday? 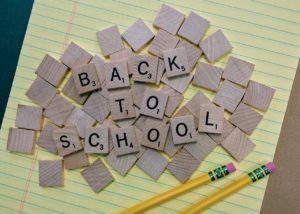 Since we can’t extend the summer fun, this week we’re giving you tips to help you prepare for the school year like a pro. Ready, set, go! Those mile-long school supply lists can be really daunting. And what about when you have two or more children? They seem to run on forever! Take the time to consolidate your lists into one, so you have a full look at everything you need to buy. If one kiddo needs three large glue sticks and another also needs three, you can save money by buying a six pack! Put it all in one place before you hit the stores or plant yourself in front of the computer to make sure you can make the smartest purchases. Once you’re armed with your list, note down or make a list of the websites and stores where you’ll shop. Are you an in-person only shopper or would you prefer to avoid the other parents and kids and shop from the comfort of home? Perhaps there are some items you want to avoid the stores for and others you need to see before buying. If you plan to do some running around town, make sure your errand plan makes sense. Create a route that is efficient. You may want to break your shopping up — one day of school supply shopping and one for clothes and shoes. There are plenty of penny-pinching moms out there who have created lists that compare prices for you. Take advantage of the hard work they’ve already done to save yourself some cash. You can search their lists to see whether Wal-Mart, Target or Staples has the best deals on items like composition books and scissors. Try sites like the Passionate Penny Pincher, The Krazy Coupon Lady and True Couponing. These sites will also alert you when great deals pop up online, if you subscribe. We get it. Just looking at the lists and thinking about all the searching and running around can make you want to put your feet up. Well, take a load off and hire some help this year! Our personal assistants are available to do personal shopping for you. Simply provide the list, your preferred stores and off they’ll go, whisking away your back-to-school worries. If you’d rather pick out items yourself, you can do the shopping online, arrange for in-store pickup and have one of our assistants deliver your purchases to your door. Easy peasy. 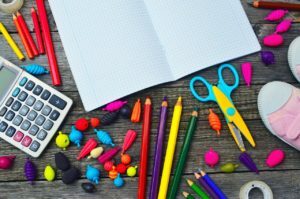 With these tips and a little help from our professionals, you’ll have back-to-school shopping in the bag in no time. Ready to get started? Give us a call today, and your first hour is free!